About Gorman-Redlich Mfg. Co. | Gorman Redlich Mfg. Co.
Trust the experts who have been providing the broadcast industry with emergency alerting equipment for over 35 years! 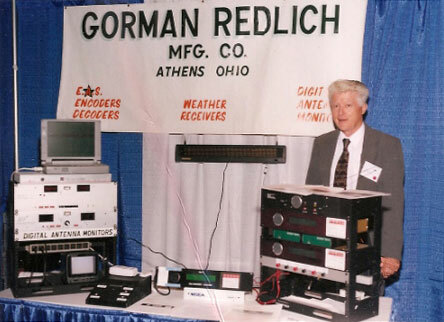 Gorman-Redlich Manufacturing Company was launched in early 1972 by Jim Gorman (MSEE 1971). The young company had its roots in the aviation industry when they began building and selling crystal oscillators for aircraft navigation and communication equipment. In 1979, the company entered the broadcast equipment industry with their latest product, a weather radio receiver, and continued in that industry with the 1981 release of their antenna monitor products. Over time, the product offerings from Gorman-Redlich expanded further into the emergency alerting industry; first with Emergency Broadcast System (EBS) equipment and, later, with the newer Emergency Alert System (EAS) equipment in 1996. Over the years, Gorman-Redlich has offered affordable equipment for all branches of the broadcast industry including AM and FM radio as well as television. 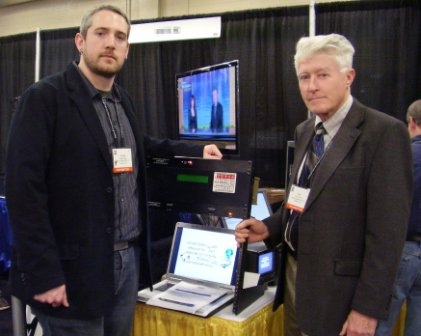 The company stands behind their equipment, continuing to support equipment already in the field rather than forcing broadcasters to purchase newer versions, often with unwanted features. The company is now moving Gorman-Redlich’s line of emergency alerting equipment into the new era with next generation alerting equipment. The Common Alerting Protocol system seeks to add redundancy and reliablity to the emergency alerting network by delivering alert information directly to each radio station via the internet. Gorman-Redlich’s latest offering, the CAP-DEC 1 CAP-to-EAS converter, consumes messages of this new format and translates them into familiar EAS alerts. New products and projects include LED signboard support for NOAA Weather Radios, standalone alert signage, integrated CAP/EAS units and more. Sign up for the Gorman Redlich Update to stay current on all of the latest developments, shows and more.